A child and adult favorite! Packed full of vitamins and nutrients, these colorful plants are as beautiful as they are nutritious. Stunning multi-color chard has stems in white, gold, pink and deep crimson, pink striped, orange, scarlet, purple, and green. Best when harvested young for salads but may be harvested all season long. Plants can reach up to 6’ tall if left to reseed the garden. Suggested Planting Requirements: Chard should be directly sown in full sun with mild temperatures or in partial shade during the summer in milder climates. Consistent watering will give continuous yield and discourage bolting. Direct sow or transplant. 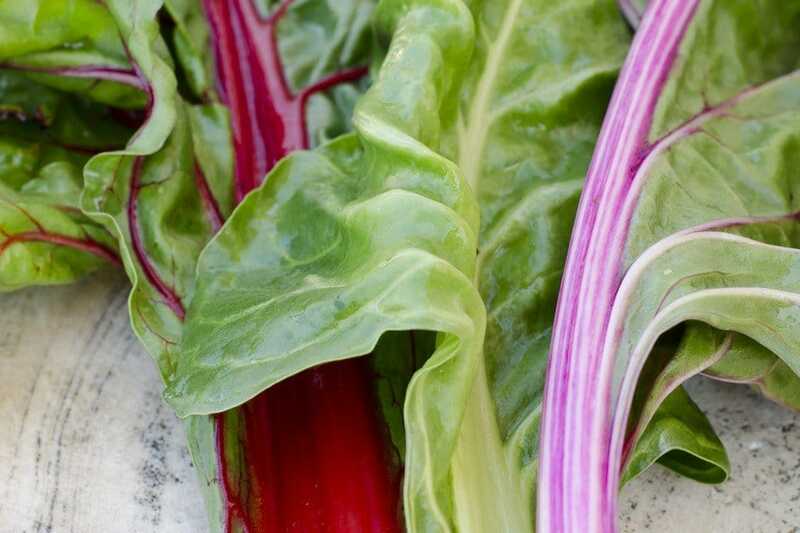 Growing Recommendations: Chard is best grown in full sun in the late spring and early fall. Chard can be grown in poor soil conditions. Harvesting & Storage: Harvest like any salad greens or beet greens. Leaves are best when picked in the early morning and stored directly in the refrigerator before the heat of the day. Chard may be kept moist in a salad spinner for several days.